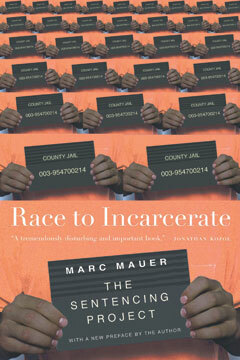 In this revised edition of his seminal book on race, class, and the criminal justice system, Marc Mauer, executive director of one of the United States’ leading criminal justice reform organizations, offers the most up-to-date look available at three decades of prison expansion in America. Including newly written material on recent developments under the Bush administration and updated statistics, graphs, and charts throughout, the book tells the tragic story of runaway growth in the number of prisons and jails and the overreliance on imprisonment to stem problems of economic and social development. Called “sober and nuanced” by Publishers Weekly, Race to Incarcerate documents the enormous financial and human toll of the “get tough” movement, and argues for more humane—and productive—alternatives.